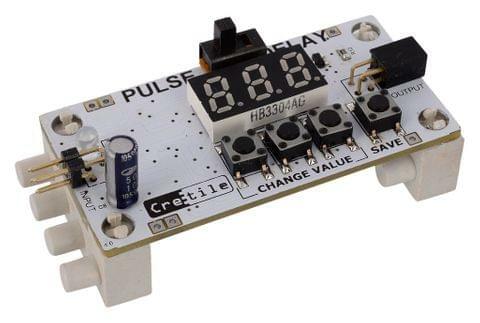 Cretile ProLogic is a programmable Cretile. 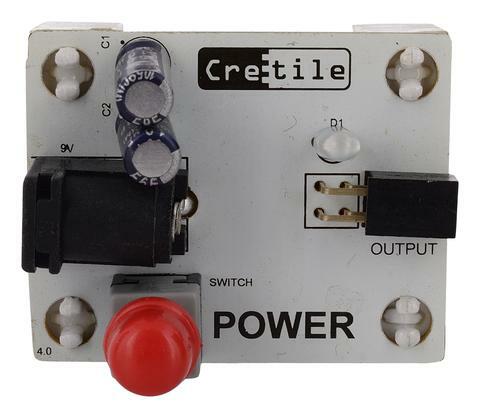 Its programming capability opens up a whole lot of possibility to what you can do with Cretiles. 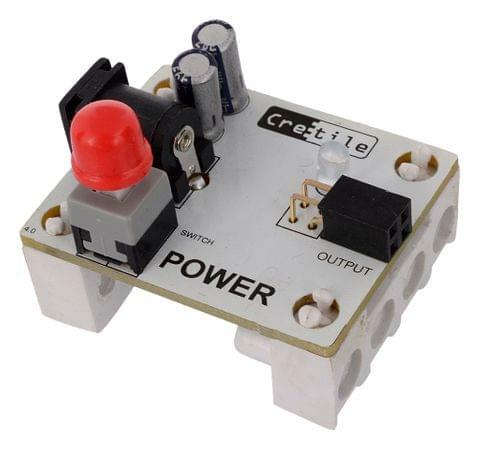 Cretile ProLogic can be programmed with the help of ArduBlocks* or by writing C/C++ code. 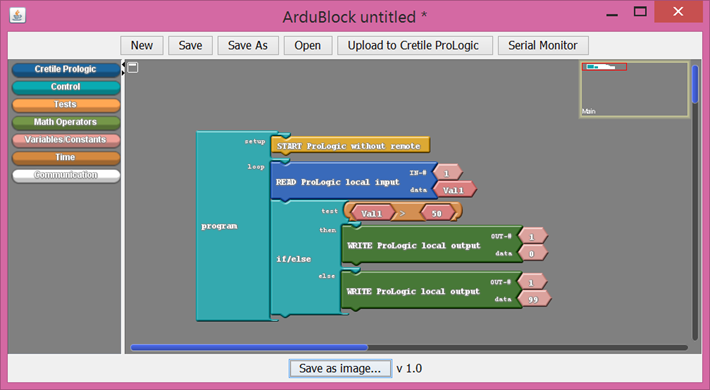 With ArduBlocks you can program Cretile ProLogic without having to write code in C or C++. 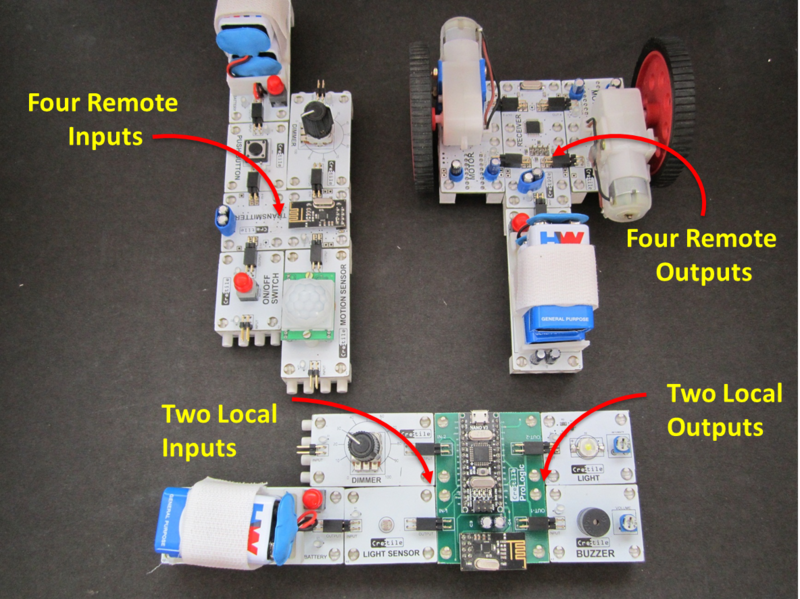 ArduBlocks provides simple drag and drop blocks to build a programming Logic. 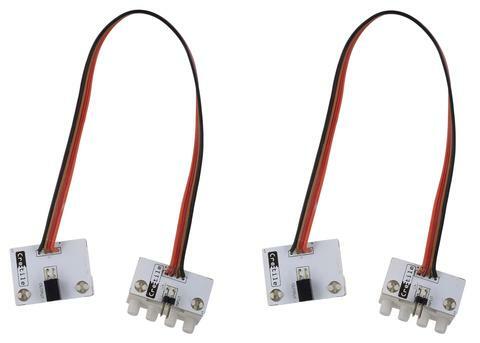 You can write any complexity program with this simple drag and drop ArduBlock interface. You can also choose to write program in C/C++ if you are confortable doing so. 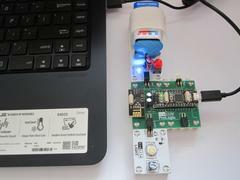 This varient of ProLogic comes with remote capability. This means that it can work with six (2 Local & 4 remote) inputs and six (2 local & 4 remote) outputs. 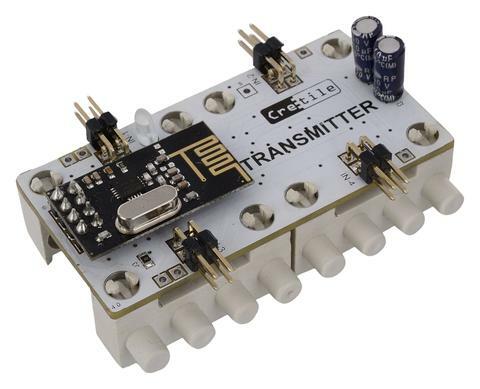 You need Cretile Transmitter to use remote inputs and Cretile Receiver to use remote outputs. 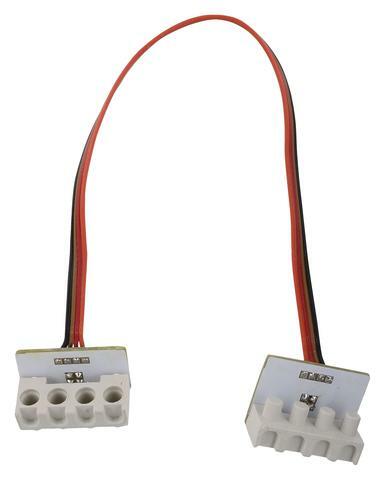 Download detailed manual from here. 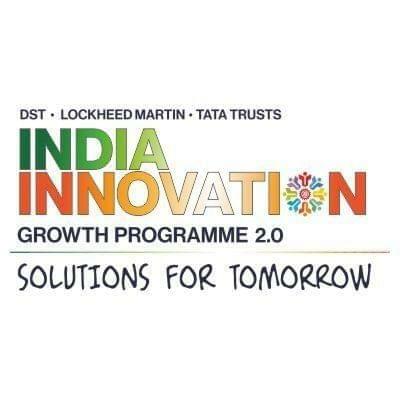 It contains detail setup guide and sample programs.